Some companies have already had success experimenting with a Genius Bar type service. Starbucks is easily the most high-profile company to have initiated such a program and made its results public knowledge. On his UberMobile blog, mobility expert Eric Lai pointed out that SAP, his employer, has also experimented with the model. SAP currently has three such service centers for mobility issues with plans to expand the program with another ten centers. The idea may seem shocking to some longtime IT professionals, but it does present a unique mechanism in dealing with the personal/business challenges that come up around BYOD models and the emerging BYOA (bring your own apps) concept. 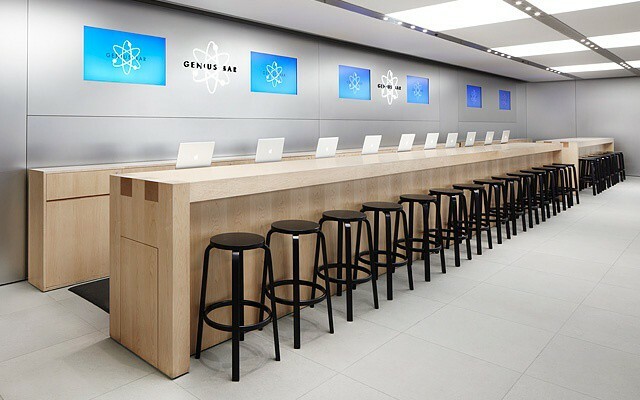 Like a Genius Bar in an Apple store, support professionals are on hand to make a good faith effort to resolve issues while not claiming ownership of the technology that they’re supporting. That’s a very different mindset from a random IT staffer swooping in after receiving a call about an issue, grabbing a user’s personal device, and changing various configuration options – possibly without permission. The Genius Bar approach acknowledges that there is a personal/professional partnership inherent in BYOD or BYOA environments. It also allows IT to have a more friendly and social presence. That can help engage users and offer a chance to try to educate them about security and other issues. Such a model can also serve as a setting for users to learn about mobile options and technologies so that they can make more informed decisions about what to buy and use. Lai also sees this as a key factor for BYOD success. A final suggestion offered by Lai is that companies need to have someone take ownership of mobility and related issues. That’s also not a new idea. The idea of a Chief Mobile Officer as a new type of executive has been floating around the business world for a while. Even if companies don’t opt to create a new C-level executive to oversee mobile and consumer technologies, creating a team to explore and manage such issues is a valuable idea to consider – ideally that will include IT professionals as well as workers from other parts of the organization. In the end, as with many consumerization of IT trends, user support is an area that companies will need to rethink over the coming years.